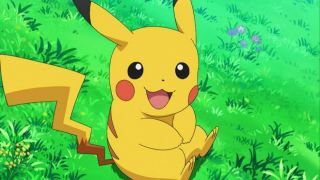 Stop reading our Pokemon Go tips and put your quest to catch 'em all on pause for just five minutes to check out these amazing Pokemon toys and merch that you absolutely need to treat yourself to ASAP. Your love affair with Pikachu and co can extend beyond mere video games and anime, with this little lot because there's basically a sea of Pokemon toys and merch to dive into and bathe yourself in. If you want to be the very best, like no-one ever was, naturally you'll need to arm yourself with all the merch you can carry / buy. If you love stationary even a teenie tiny bit then you'll know how amazing Moleskines are. Well, they're now even more fantastic, because Moleskine has launched a limited edition Pokemon range featuring some of your old favourites, like Pikachu and Jigglypuff. As you'd expect from a Moleskine, the quality is incredible, with the attention to detail in each one making it near impossible to resist treating yourself to the entire range. The range is entirely hardback, with the large notepads featuring rather sophisticated Charmander and Pikachu covers, with a special bundle version featuring a Poke Ball design and matching Moleskine pen. Then there are two smaller versions featuring adorable Jigglypuff and Snorlax designs, but all of them come with the cutest little Poke Ball bookmarks - in normal, Great, Ultra and Master varieties of course - to make sure you're never flicking through your notes for longer than you need to. These are the ultimate treat for grown-up Poke fans. Combine building with your love of Pokemon with this adorable official Nanoblocks Pikachu. You'll need a steady hand and possibly tweezers for those miniature bricks but the result is a 16 bit style 'mon worth of a Game Boy screen. You can also catch Charmander, Squirtle and Bulbasaur. Block n' load! You love Pikachu and you love Charizard so who do you pick when it comes to selecting a plush toy? This 12 inch Pokemon Center offering solves that problem straight away and manages to be utterly adorable at the same time. D'aww, look at Pikachu trying to look all angry.... Plus, if you're in the US, check out the Pokemon Center for all kinds of exciting plushies. If you simply can't get enough of the Pokemon universe, but want to play against a friend in a more analog format, you're in luck. The Pokemon Trading Card Game is a lot of fun. New to the game? Then this XY Trainer Kit is ideal to learn. It's made of up two 30 card decks that are well balanced to play off each other. When you know the rules it combines into one single 60 card deck for more serious play. Win. Catch 'em all! And then buy as many hotels as possible. This Kanto Edition Monopoly has 6 metal Pokemon to steer around the board and PokeMarts and Pokemon Centers replace the more traditional house and hotel set up. Just don't fall out with everyone when you play. If you're in the UK, you'll have to import this from the US or Japan but who can resist the electric Pokemon in black and white form. Plus, on the back there's a full comic-style Pikachu. So it's not available just yet but we can't think of a better way to settle down in front of the TV than actually on top of Snorlax. This Pokemon can sleep like no other and now you can too. With a day of Pokemon hunting ahead there's no way you can drink your morning tea or coffee out of anything other than an actual Poke Ball. You'll need your (Team) Rocket fuel. More than 35 dishes await in this brand new cookbook dedicated to creating delicious and, most importantly, adorable recipes. It does raise an interesting problem though. How could you eat Pikachu ramen and look him in the eye at the same time? Pokemon Go has evolved since its initial release but one thing hasn't changed. It's still a hell of a battery drain if you're out and about and catching 'em all. This official powerbank is for tablets and smartphones and has a speedy 2.1A fast charge port for ultra fast juice. If you're going to let anyone look after your money, I can't think of anyone better than Pikachu. After all, what would an electric mouse do with all that pocket change? He's getting an upgrade from his usual Pokéball too, with a... Pokéball themed box. At least you'll occasionally see him poking out to collect your latest offerings. This brilliant (but expensive) Limited Edition Pokémon Red Nendodroid set comes with the classic trainer, complete with swappable faces and arms, along with little dinky versions of Charizard, Venusaur and Blastoise so you can recreate your very own Poké adventure. Go one step further than Pokémon Lego with this awesome Mega Construx Charizard kit from Mega Blocks, which lets you create your very own mini Charizard complete with moving wings and awesome scene accessories. If you want to show your Poké loyalty while playing Pokémon Ultra Sun and Ultra Moon on your 3DS XL, you need this official protective case. It's clear with tasteful gold decals of Pikachu to make your plain old 3DS XL look all classy, yet cute. They say night lights are just for babies, but I'm not convinced. When you've got one that looks as adorable as this, I'm envisioning putting it slap bang in the middle of my living room. Professor Oak will be so proud.